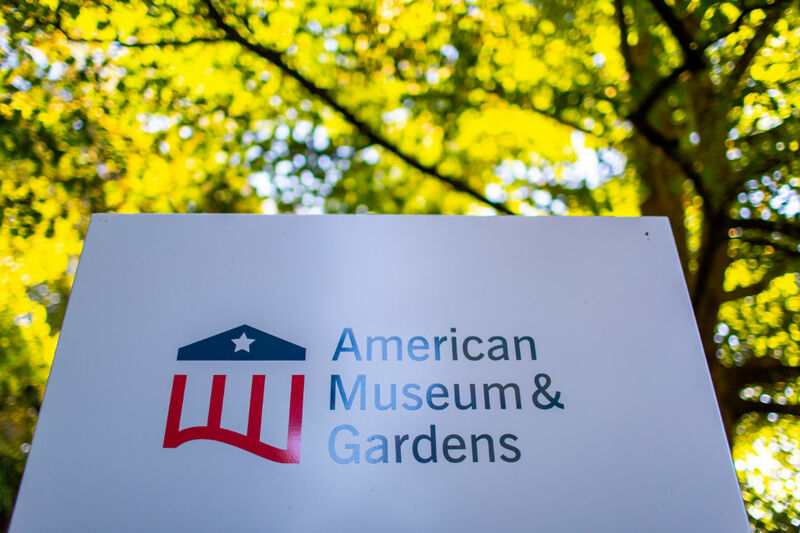 The American Museum & Gardens, formerly the American Museum in Britain, recently celebrated the opening of its £2m New American Garden. Although the garden project was largely funded by US donors and designed by Washington-based landscape architects Oehme, Van Sweden, several local firms were charged with the task of bringing the project to life. 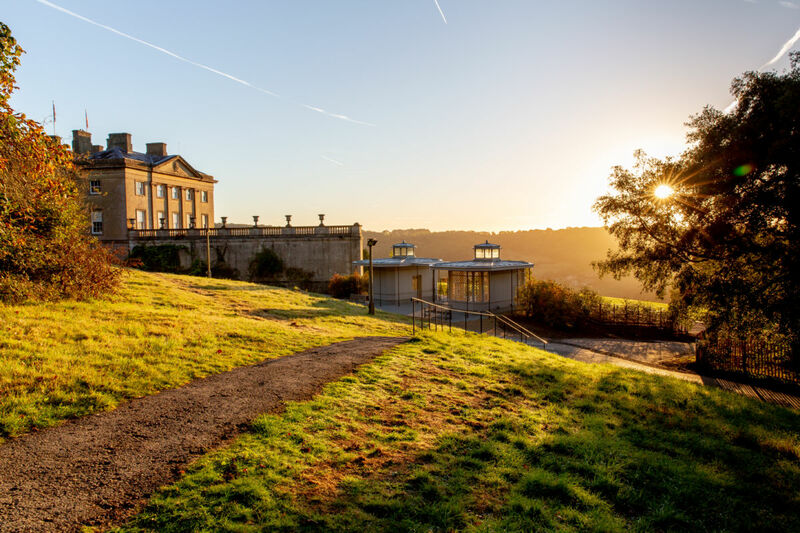 Built environment consultancy, Nash Partnership, explained that creating the new American Garden involved considerable re-contouring of the land around Claverton Manor, which houses the museum, to make newly planted areas as accessible as possible. Nash Partnership handled the planning application necessary to change the setting of the Grade 1 listed building and its gardens on the Historic England Register of Historic Parks and Gardens. 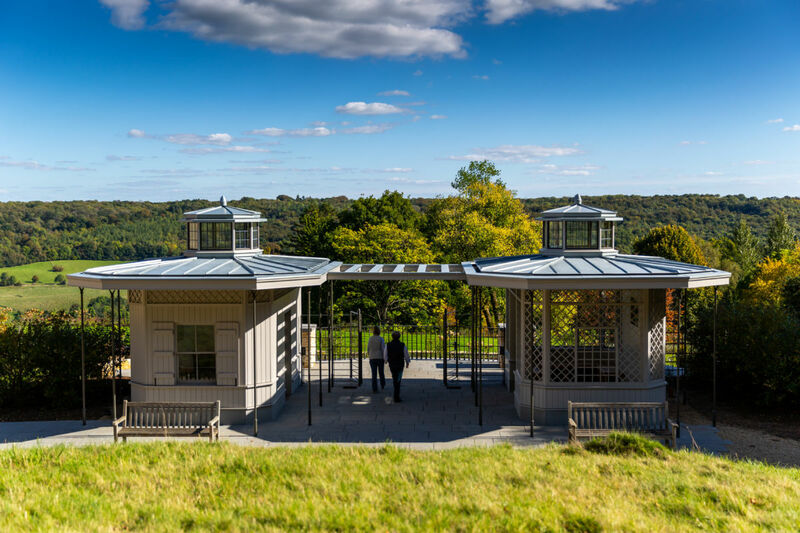 Nash Partnership’s Laurence Ingram, project architect for the pavilions, worked closely with local Wraxall Builders who constructed the two structures, and Ironart of Bath who manufactured the intricate metal work, gates and railings. Bath-based agency, Touchpoint Design, was responsible for creating a new brand identity to reposition the museum as a country house experience with gardens. As part of the work, the museum was renamed the American Museum & Gardens. The new logo incorporates elements of the museum’s buildings and surrounding landscape, including the Ionic pilasters and pediment on the south façade of Claverton Manor and the curves of the Winding Way footpath through the new garden. Touchpoint Design also carried out a complete redesign of the museum’s wayfinding — applying the new identity to signage, interpretation panels, planting plans, and a visitor map. The firm worked closely with Freestyle Designs of Bath to ensure the signage worked with the garden design and was sensitive to the environment. Other local firms involved include landscape architect Tom Chapman, who project managed the redesign, and Parsons Landscapes. The New American Garden opened on Saturday September 15.